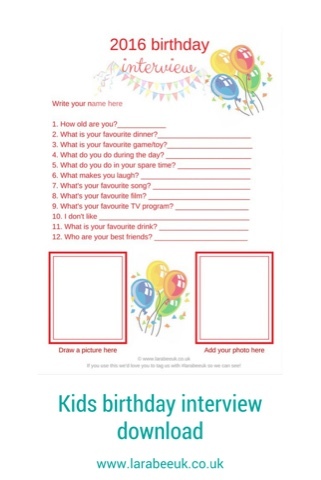 From now on to mark his birthday's I intend to 'interview' him and keep all the responses to give him when he's an adult (probably keeping a copy for us too!). I expect the questions will evolve over time, but for now I've kept them pretty basic. Along with the questions I added somewhere to write his name himself, draw a picture of something of his choice and add a photo. He loved doing this little birthday activity. 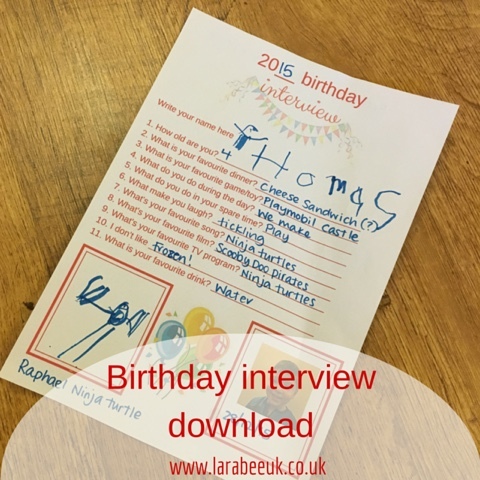 You can download a copy of our birthday interview here if you'd like to use it. Please do use #larabeeuk if you use this as I'd love to see your versions.